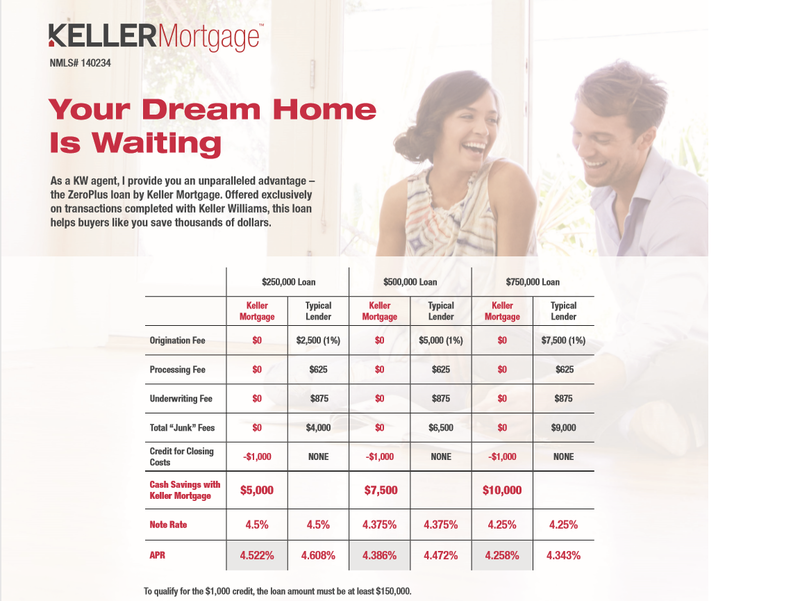 Check out how Keller Mortgage can leverage your money to make your dreams a reality! Keller Williams has developed their very own Mortgage Company to assist their agents in helping home buyers and sellers to close deal quickly and efficiently. The platform is an online service similar to any lending companies that don’t have local offices, once you register online a loan officer will reach out to you and that will be your one-on-one point of contact through the whole process. When I first got the program, I applied myself and within a 8-10 hour time period a state licensed lender called me directly, and this all happened on a Sunday! He clearly explained the loan process and expectations in partnering with them to close a loan. All of our clients who have chosen to work with Keller Mortgage have all given great reviews. Click the link below to get access to download our app and get access to Keller Mortgage.